Home » Free » No Expiration Date » Colorful Arabian Life! http://www.line-stickers.com/ – Colorful Arabian Life! 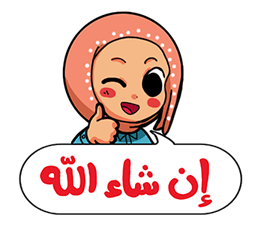 Line Sticker | The colorful everyday life of cute and modern Arabic people! Includes many funny expressions along with rainbows and sparkles to shine in your day-to-day chats! Available till May 31, 2015. Name LINE Sticker: Colorful Arabian Life!